Most probably you are already a regular user of YouTube or at least stumbled upon YouTube while searching for a video. With over a billion user base, YouTube is definitely a forced to be reckoned with. This status also means that YouTube offers some amazing quality with tons of features to entertain everyone. However, you may not know about all of the features of YouTube but knowing some cool YouTube Tips and tricks could help improve your Youtube experience. For most people searching a video on YouTube and going along with the flow is more than enough. There are many ways to change how you watch a YouTube video and get through different hurdles, all you need to do is explore. To help you use YouTube optimally, we are going to introduce few YouTube tips and tricks. We have tried to mention less obvious ones, so there is a good chance you will find something that you didn’t know about before. Without further ado, let’s make you a YouTube pro with these YouTube tips and tricks. 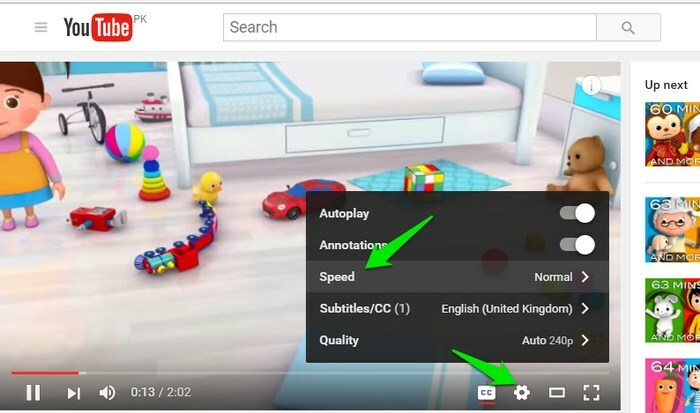 This is not one of the most hidden features of YouTube, but it is a very handy one. For example, you can slow down an instruction video speed to easily understand or maybe speed up a boring section without missing any details. To do so, click on the “Gear” icon in the YouTube video player, and then click on “Speed”. You can now easily adjust speed by increasing or decreasing it using set speeds like, 0.50 or 1.50. There is a chance you may see an error on a video saying that the video is restricted to age and can only be seen once you log in using a Google Account. Well, if you don’t want to login then you can still see the video using the below-mentioned YouTube tips and trick. In the URL of the video, remove the words “watch?v=” and add “v/” in the same area. After that press “Enter” and it will load in fullscreen mode. Below is an example. While sharing a video, you don’t always have to share the full video. If there is an interesting part in the video, you can just share that part with your friends. All you have to do is reach the duration point from where you would like to start and right-click on the video. 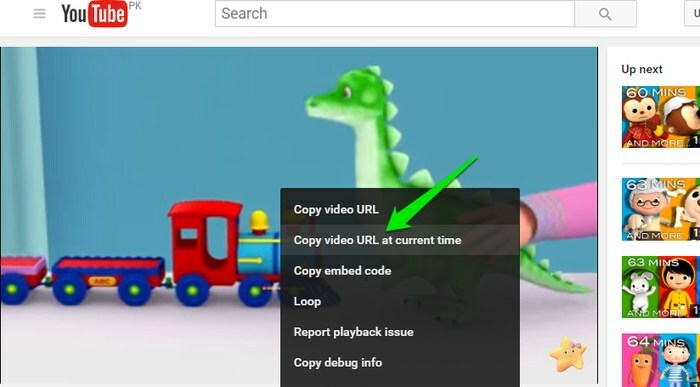 From the menu, click on “Copy video URL at current time” to copy it from that time. You can then share this link with anyone and they will see the video start from that specific part. You can also click on “Share” button and check the “Start at” option to specify from which point the video should start. You might have noticed that after the current video finishes, YouTube automatically plays the next recommended video after a short delay. This is handy for continuous entertainment, but can be annoying as well if you don’t want to watch more videos. 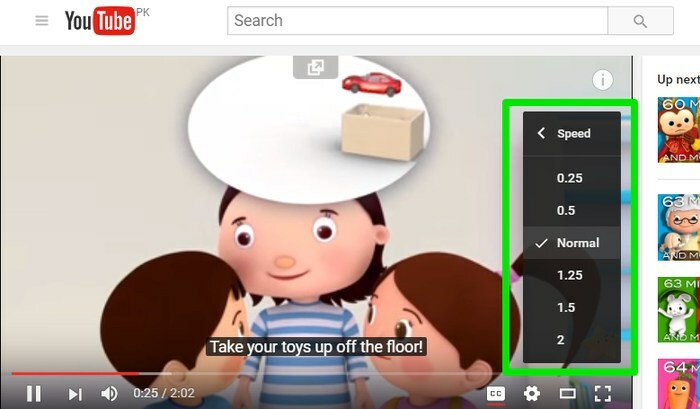 To disable Autoplay, click on the “Autoplay” slider at the top right corner of the window just above the recommended videos. This will turn this feature off, and you can click on it again to enable it. If you are not satisfied with the results shown by YouTube for your query, then you can also use search filters to pinpoint it. On the search page that shows all the results there is a “Filters” drop-down menu, click on it to see all the ways you can make your search better. You can define video duration, published time, video type and features like 4K/Live/Subtitles,etc. You can also watch live shows on YouTube thanks to the newly added YouTube Live feature. Just go to YouTube Live page and you will see all the Live shows streams to easily watch them. There is also an option to see what’s currently popular on YouTube that isn’t catered to your interest. Visit Popular on YouTube page and you will see everything popular organized by categories. YouTube is one of the biggest hubs of entertainment and the above mentioned YouTube tips and tricks should help you get more from YouTube. There is still a lot you can do with YouTube apart from these few YouTube tips, so you should explore a bit as well. If you know any other cool YouTube tips and tricks, do let us know in the comments below. Terraria All Bosses – How many Bosses are in Terraria?